The bathroom is often viewed as the second most important room in a property after the kitchen and if designed well, can add significant value to a property. Conrad Gargett’s Director John Flynn said utilising space effectively was one of the key elements to designing a successful bathroom. 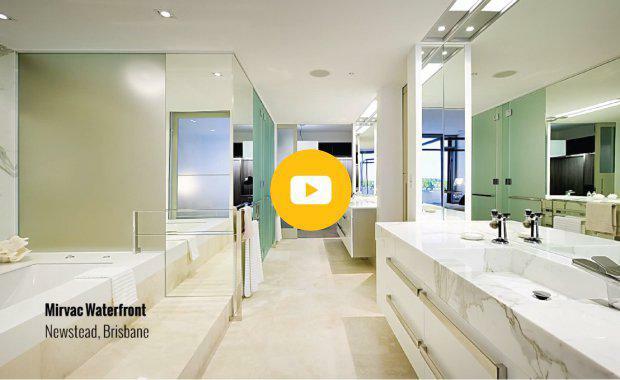 The Urban Developer’s Adam Di Marco sits down with Conrad Gargett Design Director John Flynn as he talks about “Bathrooms”. John is one of Australia’s leader architects, having worked in across Australia and internationally on a diverse range of project types including residential, commercial, educational, public buildings, health, defence and master planning. John has developed comprehensive skills in leading large projects and working through master planning, brief, design and delivery. Before joining Conrad Gargett, John held senior positions with leading Australian property developer, Mirvac.